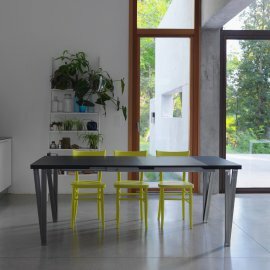 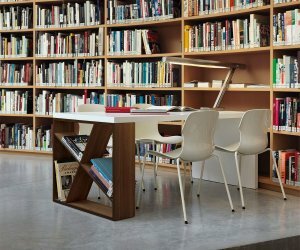 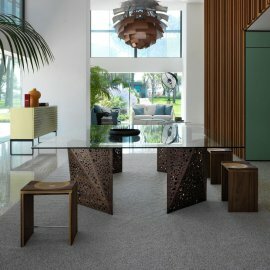 A multiple awardee for design and innovation, Horm balances design, research and technology in creating the best furniture for home and commercial use. 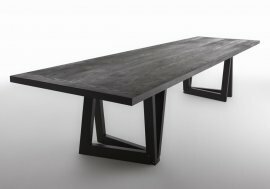 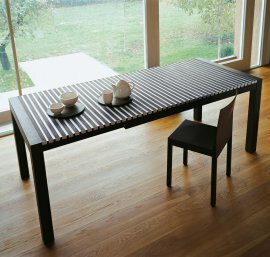 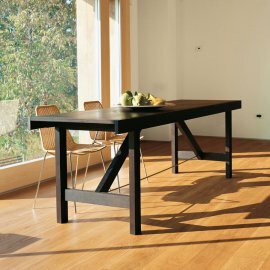 Horm dining tables use strong wood as bases such as walnut, mahogany, cherry, oak and ash. 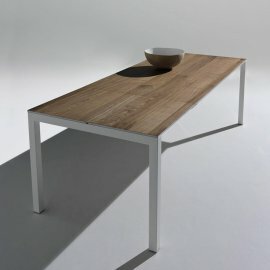 But the brand never fails to sacrifice design for functionality. 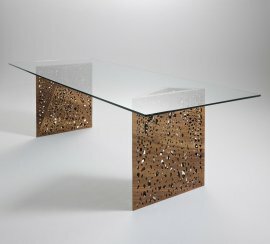 This is why some tables have sculpted bases like the unique perforated walnut slabs that make the entire table look elegant and contemporary. 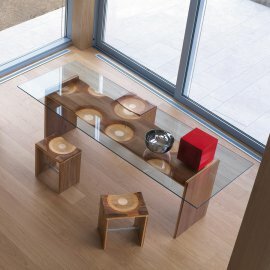 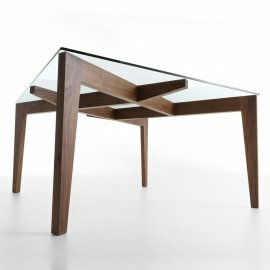 The tabletops range from wood (including veneered wooden top) to glass.